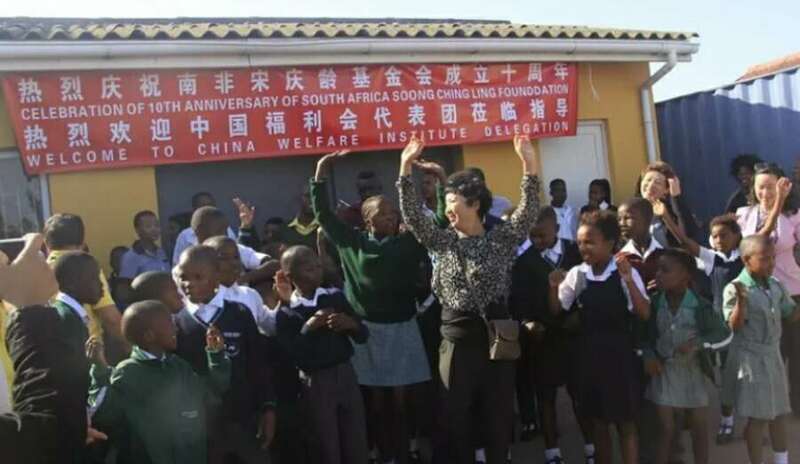 AS THE Soong Ching Ling Foundation celebrates 10 years of doing good in Cape Town, its chairperson and delegates from their head office in Shanghai visited a number of charities that they have been supporting to spend time with beneficiaries and see what more they can do. Their visits yesterday included the two Baphumelele Children’s Homes in Schaapkraal and Khayelitsha. An excited delegation were welcomed with Mandarin songs sung by the children, after which they joined in on the dancing and singing. Afterwards they were taken on a tour of the facility. The foundation and orphanages have worked together for more than 10 years. In 2015, Soong Ching Ling built a youth facility for Baphumelele Children’s Home to house 18 young people in Schaapkraal, Philippi. Baphumelele Orphanage founder Rosie Mashale said: “We are very thankful for the support of the foundation. They have built a house for the youth, a very big house that can accommodate 18 youth, and they also intending to build a vocational training centre. “Beyond that they are also supporting us on a quarterly basis, like now when it’s winter they will bring warm blankets for children, beanies, fleece tops and also in summer at Christmas they bring things. “Every Saturday a teacher comes to teach the kids songs in Mandarin. We are very involved in Chinese events and the kids enjoy it. Baphumelele Children’s Home runs many programmes in the community, from child-run household programmes to a hospice, which sends carers out to the elderly who cannot attend the hospital to receive care in the comfort of their homes. They also house orphaned children and have saved more than 5 000 abandoned babies. Soong Ching Ling Foundation chairperson Chen Qing said: “As Chinese we are living and working here, so we need to support local communities, especially the poor. That’s why all of our team members are always coming here to help. The day ended with a charity picture exhibition, which documented the work of the foundation over the past 10 years.